On Friday, June 28, at 7 p.m., Earth, Wind & Fire returns to Tanglewood, bringing its U.S. tour to the Koussevitzky Music Shed. Earth, Wind & Fire are a music institution. Over a five-decade history, they have sold out concerts all around the globe, scored eight number one hits, and have sold over 100 million albums worldwide. They have released 23 albums, eight of which went double platinum and hit the Top 10, making them one of the best-selling artists of all time. They have won an impressive nine Grammy Awards, including one for Lifetime Achievement (2012). 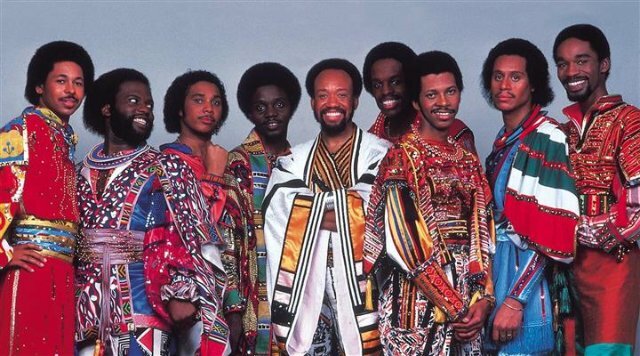 In 2000, Earth, Wind & Fire was inducted into the Rock and Roll Hall of Fame. The group’s previous performance at Tanglewood was in 2016. Tickets for the Friday, June 28 concert with Earth, Wind & Fire range from $17-159 and go on sale on Monday, March 18, at 10 a.m. All tickets can be purchased through www.tanglewood.org and by calling 888-266-1200. Earth, Wind & Fire join Live From Here with Chris Thile (6/15), Brian Wilson (6/16), Josh Groban (7/2), James Taylor and his All-Star Band (7/3 & 4), Train and the Goo Goo Dolls (8/5), Gladys Knight and The Spinners (8/28), Squeeze (8/29), Ben Harper & The Innocent Criminals and Trombone Short & Orleans Avenue (8/31), and Reba McEntire (9/1) as part of the 2019 Tanglewood season popular artist lineup. The 2019 Tanglewood season will see Boston Symphony Orchestra Music Director Andris Nelsons in residence throughout the month of July, leading 14 programs, including a first for Tanglewood—a concert performance of Wagner’s complete Die Walküre with the Tanglewood Music Center Orchestra and a star-studded cast, presented in three concerts over a two-day period, July 27 & 28. Tanglewood will also be the setting for the BSO’s Nelsons-led world premiere of Pulitzer Prize-winning composer Kevin Puts’s The Brightness of Light, a work for voices and orchestra inspired by letters between Georgia O’Keeffe and Alfred Stieglitz; it was written especially for Renée Fleming and Rod Gilfry, who will be the featured soloists. Ms. Fleming, a favorite guest artist at Tanglewood since her BSO debut there in 1991, has been named the Koussevitzky Artist for the 2019 Tanglewood season. The BSO and Andris Nelsons open the orchestra’s summer season on Friday, July 5, with Mahler’s Symphony No. 5 and Mozart’s Piano Concerto No. 22, with Emanuel Ax as soloist—the first of twenty BSO programs taking place throughout July and August. These major events and milestones take place during a season that also honors Tanglewood’s cherished musical traditions, among them concerts by the one and only Boston Pops, including the annual John Williams’ Film Night; a series of chamber music and recital programs in the acoustically acclaimed Ozawa Hall, celebrating its 25th anniversary season in 2019; frequent performances by the talented Fellows of the Tanglewood Music Center; and a Popular Artist series, including two appearances by one of the festival’s most beloved singers, James Taylor, on July 3 & 4. The BSO’s musical leadership, Andris Nelsons, Keith Lockhart, and John Williams, are joined by an extraordinary roster of guest artists, including beloved familiar faces—Yo-Yo Ma, Emanuel Ax, and Joshua Bell; other favorite performers—Yefim Bronfman, Christine Goerke, Hilary Hahn, Paul Lewis, Ryan Speedo Green, Thomas Hampson, Leonidas Kavakos, Ken-David Masur, Anne-Sophie Mutter, Kristine Opolais, Morris Robinson, Gil Shaham, and Jean-Yves Thibaudet; and several exciting artists making their Tanglewood debuts—Inon Barnatan, J’Nai Bridges, MILOŠ, Simon O’Neill, and François-Xavier Roth. The 2019 Festival of Contemporary Music, August 8-12, under the direction of BSO Artistic Partner Thomas Adès, boasts a tremendous array of works by composers of our time and recent history, with nine American premieres, including works by Richard Ayres, Gerald Barry, Erica Fox, György Kurtág, Hilda Paredes, Poul Ruders, and Nathan Shields, as well as a TMC-commissioned world premiere from Andrew Hamilton; there will also be a special concert dedicated to the piano works of the late Oliver Knussen. Musical highlights of the season also include Copland’s Symphony No. 3, Debussy’s La Mer, Dvo?ák’s New World Symphony, Elgar’s Enigma Variations, Betsy Jolas’s A Little Summer Suite, Ravel’s La Valse and Daphnis and Chloé (complete), Shostakovich’s Symphony No. 2, Strauss’s “Dance of the Seven Veils” from Salome, Joan Tower’s Fanfare for the Uncommon Woman No. 1, and an Andris Nelsons-led Verdi Requiem, as well as works by Brahms, Gershwin, Mendelssohn, Schumann, and Stravinsky, among many other favorite composers. The traditional season-ending finale of Beethoven’s Ninth Symphony, with a cast of acclaimed soloists and the Tanglewood Festival Chorus, James Burton, conductor, will be led by Giancarlo Guerrero; the program opens with Schoenberg’s Friede auf Erden (Peace on Earth) for unaccompanied chorus. In another major highlight, Yo-Yo Ma, who will be featured in three concerts during the 2019 Tanglewood season, makes a special solo appearance in the Shed, performing Bach’s Six Unaccompanied Cello Suites as part of his two-year The Bach Project, in which Mr. Ma will perform Bach’s six suites for solo cello in 36 locations on six continents. In addition to the programs of the 2019 Festival of Contemporary Music and the new Kevin Puts work, new pieces to be performed during the season include two world premieres—The Lost Words, for children’s choir and orchestra, by BSO Choral Director James Burton, featuring the Boston Symphony Children’s Choir; and André Previn and Tom Stoppard’s Penelope, for soprano and string quartet, with Renée Fleming and the Emerson String Quartet—as well as the American premiere of Avner Dorman’s Double Concerto for violin, cello, and orchestra, with Pinchas Zukerman and Amanda Forsyth. The performance of Penelope, along with André Previn’s Violin Concerto, Anne-Sophie, written for and featuringAnne-Sophie Mutter, will take place in celebration of Sir André Previn’s 90th birthday year. The 2019 Popular Artist Series includes performances by Brian Wilson (6/16), Earth, Wind & Fire (6/28), Josh Groban (7/2), James Taylor and his All-Star Band (7/3 & 4), Train and the Goo Goo Dolls (8/5), Squeeze (8/29), Gladys Knight and The Spinners (8/28), Ben Harper & The Innocent Criminals and Trombone Shorty & Orleans Avenue (8/31), and Reba McEntire (9/1). American Public Media’s Live From Herewith Chris Thile also returns on June 15, opening the 2019 season.